Our stunning venues combined with Mediterranean Gardens and beautiful interior décor make Mezze Restaurants the perfect location for wedding receptions and family celebrations. With our highly professional approach and careful attention to detail we will ensure your celebration leaves a long and lasting impression and stays firmly etched in your memory for many years to come. Mezze Restaurants is proud to cater for a vast range of functions from weddings, birthdays, anniversaries, christenings and engagements, to baby showers, conferences and wakes. Whether you are looking for a set menu or delicious buffet for your event, we can tailor our packages to suit your individual requirements. To check availability for your chosen date and to book contact your nearest Mezze direct on our CONTACT US page. 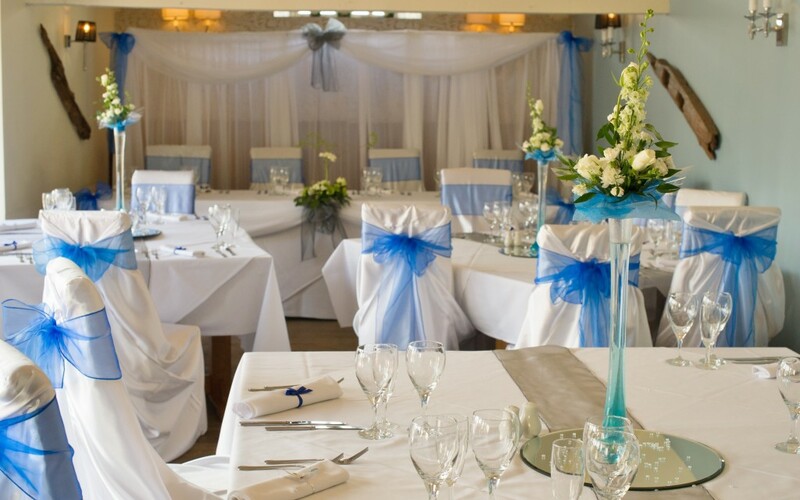 Our stunning landscaped Mediterranean gardens, delicious food, elegant reception rooms and outstanding personal service, are the ideal ingredients for a perfect wedding reception. Choosing your wedding reception venue is one of the most important decisions you will make. We are confident that Mezze Restaurants will give you the wedding day you have always dreamed of with a memorable reception and plenty of stunning photo opportunities. 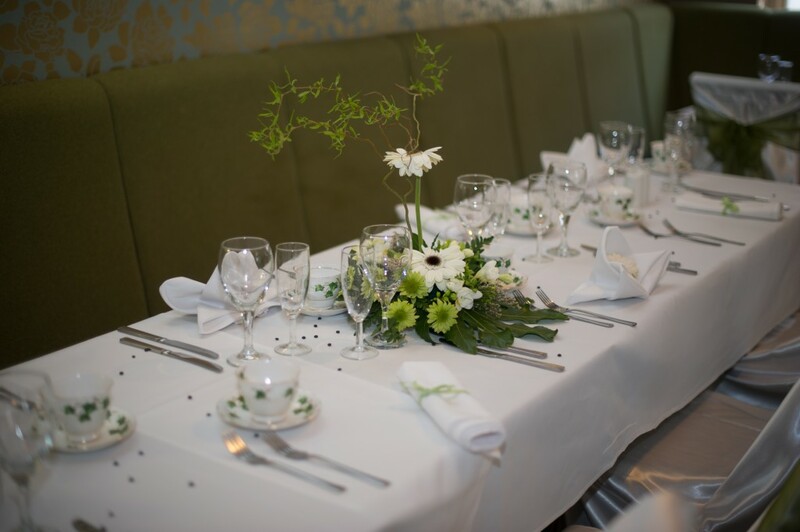 Our friendly and supportive staff will ensure that your occasion runs smoothly and all your needs are attended to, leaving you so simply enjoy your special day. 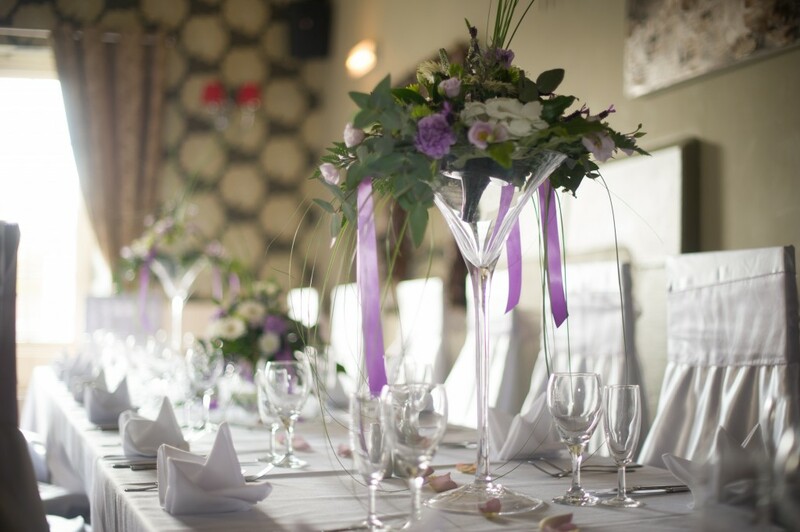 Wedding receptions are available at all of our Mezze Venues. Some locations boast boutique hotel rooms including a Bridal suite with Jacuzzi bath, so after a long and memorable day guests can retire upstairs for a luxurious overnight stay with scrumptious breakfast. Whether you are after fancy canapés, a mouth-watering three-course wedding breakfast or delicious buffet, our head chefs who have gained experience working at some of the top restaurants in the South West including Browns, Severn Shed, Aqua, Melbournes and Redcliffs, will ensure your taste buds are spoilt. We understand every bride and groom is different and therefore we will listen to your ideas and plan your reception accordingly taking all your requirements into consideration from table settings and crisp white linen to assisting with flowers, balloons, cakes and entertainment. Our managers are happy to discuss all your requirements in order to create the perfect package. Please get in touch today or visit your nearest Mezze for a personalised tour to see all that we have to offer. You certainly will not be disappointed! All memorable occasions deserve a proper celebration and Mezze can help you to stage birthday, anniversary and christening parties in one of our numerous function suites across the South West. 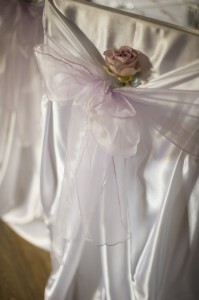 We can also cater for baby showers and wakes. Whatever you are celebrating, our fully trained chefs can create the perfect banquet for your guests to ensure your party goes off with a bang! We can tailor our packages to suit your individual requirements so please do pop in and talk to our staff who will happily take you through the options available to you. Our staff always pay fine attention to detail and you can therefore be assured that every aspect of the occasion will be taken care of from decorations to cake cutting ceremonies and toasts, so you can enjoy your special day. We look forward to welcoming you, your friends and family to celebrate your special occasion!